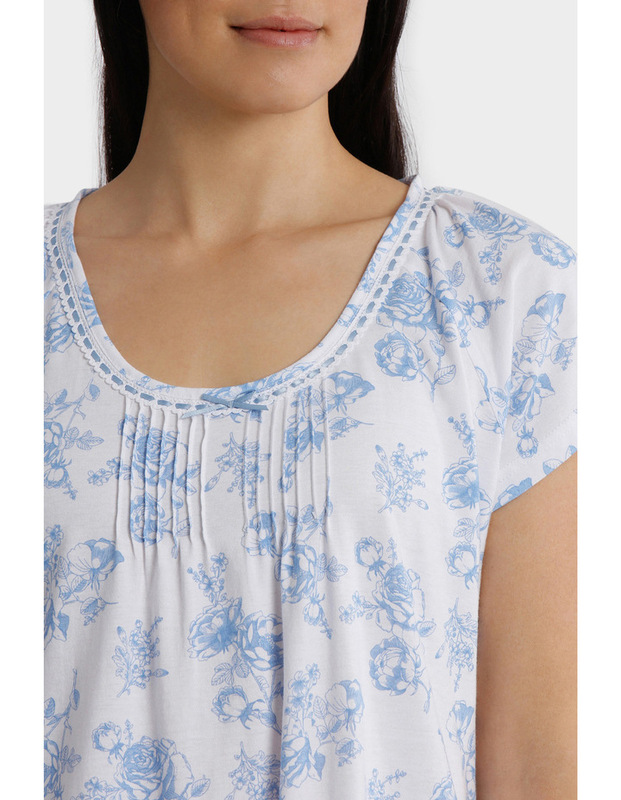 "Hilary" print knit short sleeve short nightie is a breath of fresh air in summery Willow/White colour print. Satin ribbon is threaded through the white lace trim and finished off with a pretty white bow. Softly pleated front and 100% cotton fabric makes this a cool and comfortable garment.